Fair. Fast Dispatch. Expedited UK Delivery Available. Excellent Customer Service. Ex Library. Large Print. No dust jacket. Spine torn. This book, as all the ones by Jo Nesbo, is simply riveting; it grabs you from the first page right to the end. Twists, turns, suspense is what this mystery is all about and when one page is finished the urge to keep reading is simply an urge that is hard to control. I wish Jo Nesbo would write a book a month! I have been unable to stop reading this series since I first picked up Nemesis and had to read backward to get them all in order. I went back to Redbreast and have continued forward. 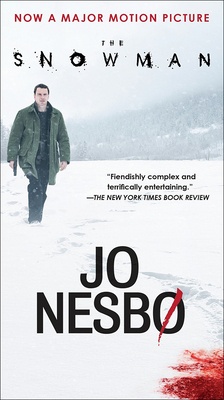 Nesbo is a great crime writer and Harry Hole is a great character. The plots are sinuous and compelling and the characters well drawn, I love this series!